Winter in Greece! Have you heard of the Alkyonides Days'? Living in Greece for more than 20 years, I knew that the warm sunny days in the beginning of the year are called Alkyonides. But I had never researched the origin of this name or its meaning. 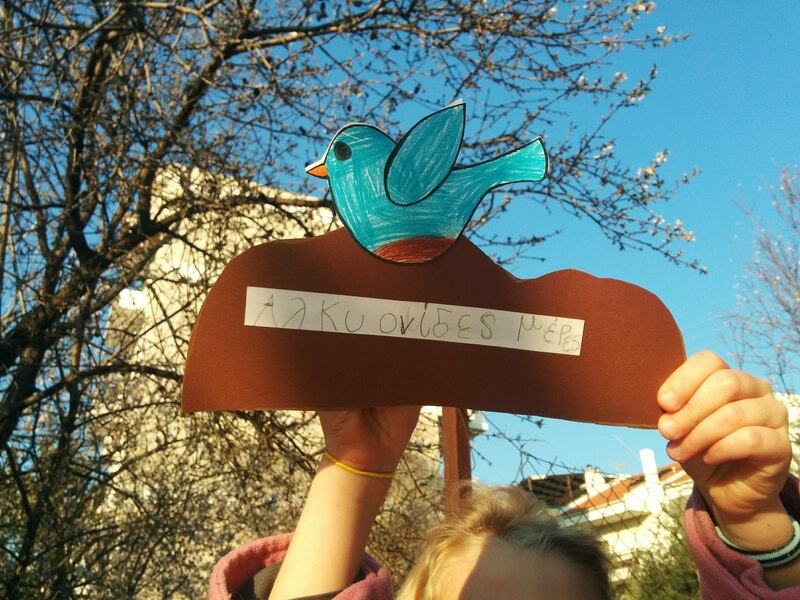 This week my daughter came home from school and brought me a handcrafted 'Alkyon'. Time to find out what this tradition is all about. Winter in Greece is always pleasant. Especially in Athens and central Greece, the winters are mild and sunny. There are cold and rainy days and sometimes there is snow. What is very special about winter in Greece are the beautiful sunny warm days early in the New Year. Nearly every year in the winter in Greece, right after New Year, there is a non-interrupted period of days with clear blue skies and warm temperatures, which at least in Athens and its region can reach more than 20°C over the day! This meteorological phenomenon of the central Greek climate is called Alkyonides. I knew that the Alkyonides had to do with a bird called Halcyon or in English: Kingfisher. But I never looked for more explanations. This week my daughter brought home a handcrafted kingfisher and I was curious to find out the meaning behind all this. In Greece, there is always an interesting story behind every tradition. I found several mythological explanations for the legend of Alkyoni. The Alkyonides were the seven daughters of Alcyoneus. When their father was slain by Heracles, they threw themselves into the sea and were transformed into halcyons (kingfishers) by Amphitrite. I also found that Alcyone was the wife of Kyokas and daughter of Aeolus. She was very happy with Kyokas and their love was a model for everyone. One day, Kyokas went fishing in the sea. Alcyone did not want him to go because she had a bad feeling. The weather turned bad and Kyokas boat turned over and sank. Alcyone witnessed his death from far away and threw herself from the rocks. The Gods admired their strong love and regretted what had happened and transformed them into a bird and a fish. But these animals cannot live together because one lives in the water and the other on land. So kingfishers were created. These birds make their nests in the rocks near the sea. The eggs hedge in the wintertime. Because it was too cold for the eggs, Zeus gave them 10 days of sunshine so it would be like it was spring. 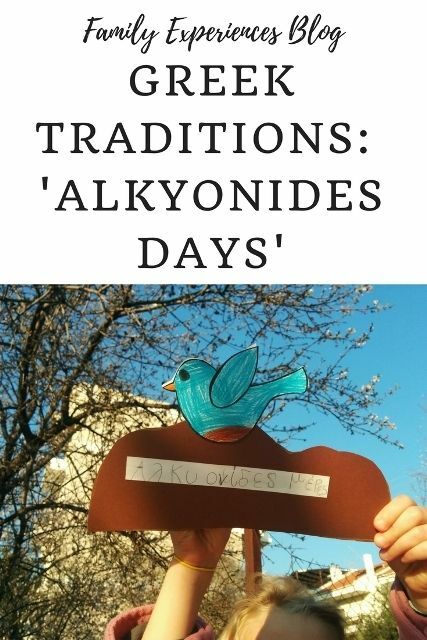 These hot days in the winter of Greece are called Alkyonides days. 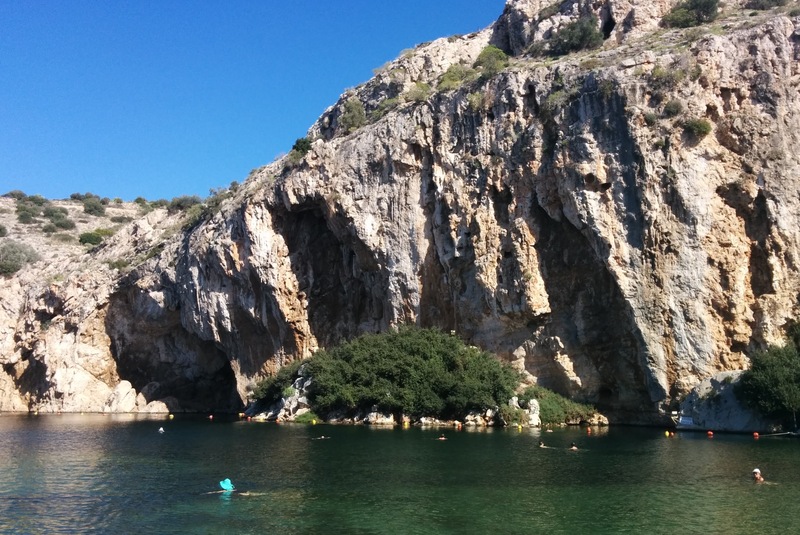 The Alkyonides are also small rocky islands in the Gulf of Corinth, near the Attica coast and central Greece, also taking their name from the mythological figures. Winter in Greece is great for bird watching. 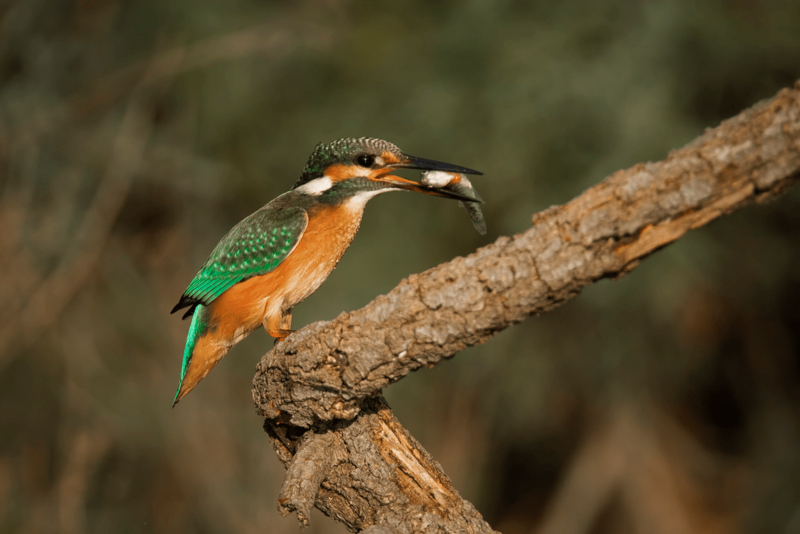 The Greek Kingfisher can be found around Greece and even in the coastal areas of Athens such as Varkiza and Vouliagmeni (see above photos of Lake Vouliagmeni). For more information on winter in Greece tours and birdwatching in Greece, I am happy to refer to Natural Greece. This company introduced me to the amazing birds of Greece and showed me the wetlands of Pfitsa near Poros island last year. I went back this summer with my kids to admire the flamingo birds there. I wrote about it in this post. More ideas for winter activities in Athens can be found here. Have you spent winter in Greece or are you planning a holiday this time of the year? The Alkyonides of the central Greek climate will make your winter holiday unforgettable. They are warm and sunny and always remind me of the Greek summer lying ahead!